A Mind Of Her Own? 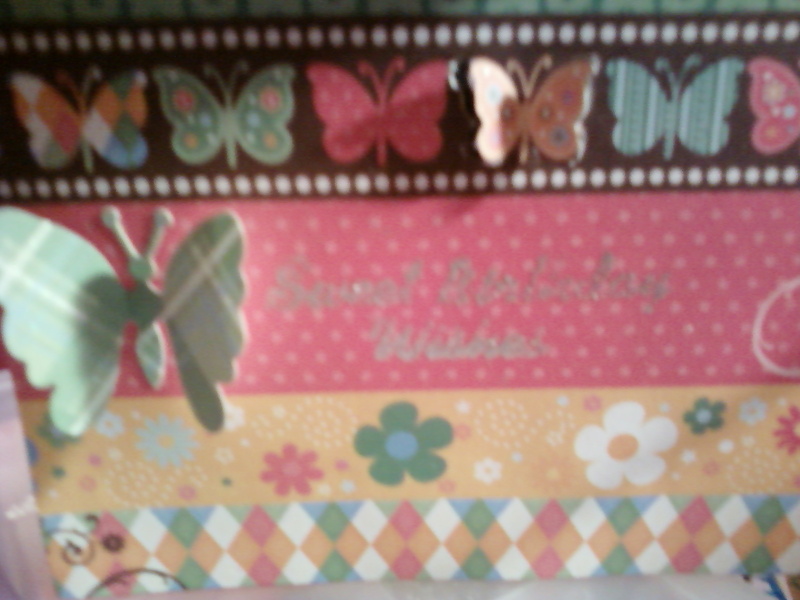 : LINDA'S BIRTHDAY CARD! 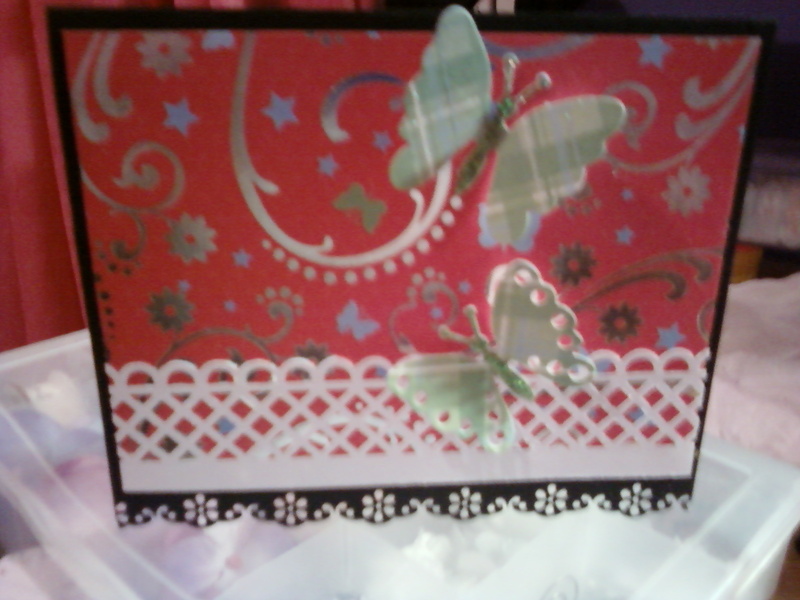 This is the outside of the card. Bottom border is MS floral lace punch. The butterfly bodies were stickled in lime green. Papers are recollections card stock and DCWV. This is the inside of the card. 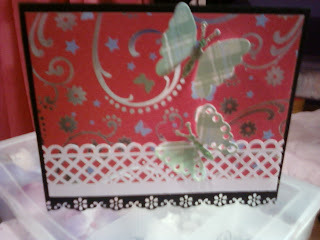 The sentiment didn't photo well but it says, "Sweet Birthday Wishes" and is an inkadinkado stamp.